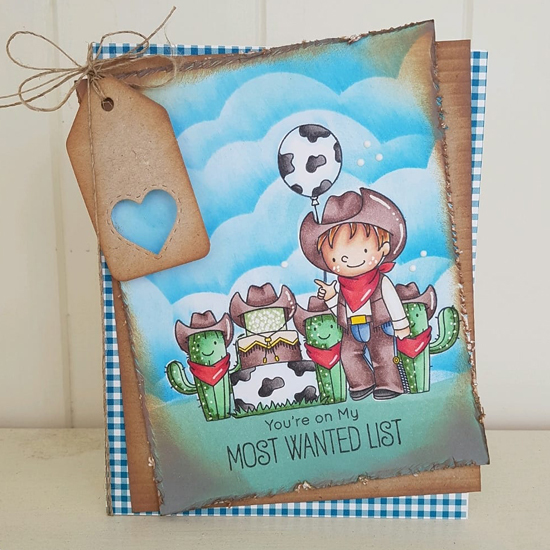 Maritha created a colorful stamped panel featuring the Saddle up & Celebrate stamp set on her Western-themed card design. 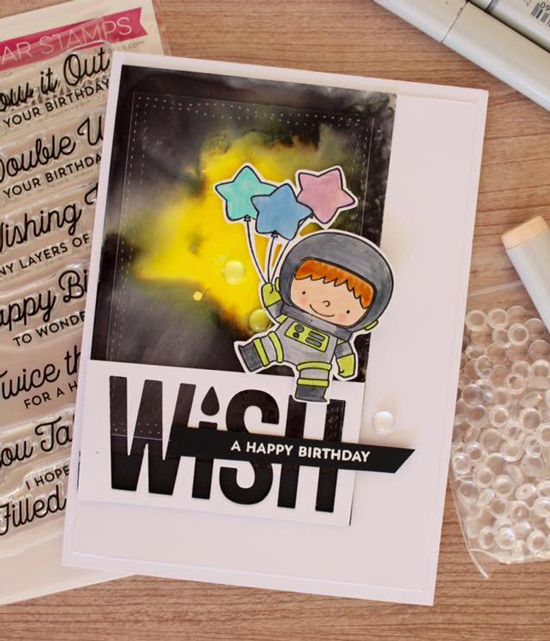 The stunning cloud detail in the background perfectly complements her scene, and we love the all of the white gel pen detail she added to her stamped images. The realism Shellie achieved on her colored Viking is absolutely amazing. 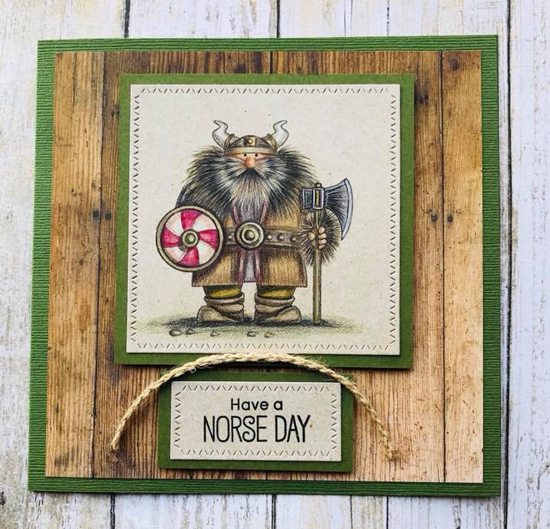 From the realistic facial hair to the texture and dimension she added to his clothing - and we love how she featured the colored design on a faux wood background. We love the colorful galaxy background Sandreeen created behind her playful astronaut character. 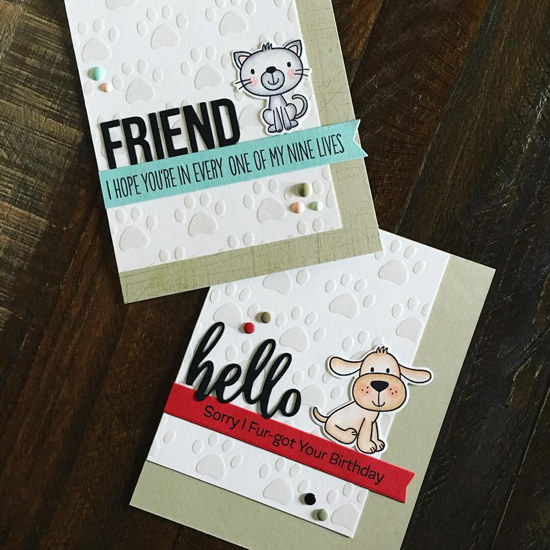 The bright yellow highlights her image and helps it to stand out from the dark background while the bold die cut sentiment captures her intended greeting perfectly. Nancy's created a birdhouse design that looks almost real at first glance. 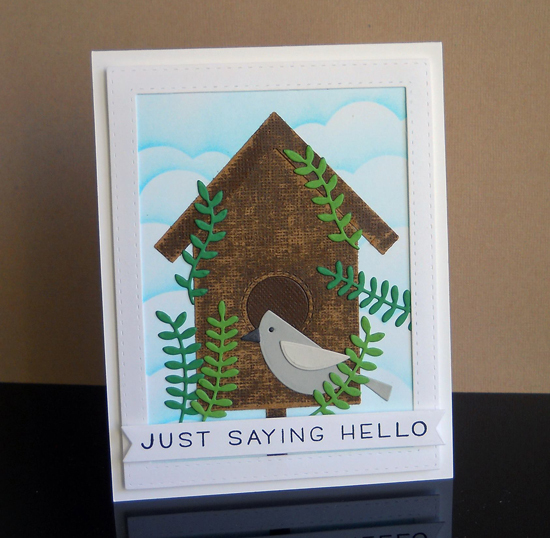 The inked clouds in the background add a bright backdrop for her design, and we love the added greenery she adhered around her bird image.